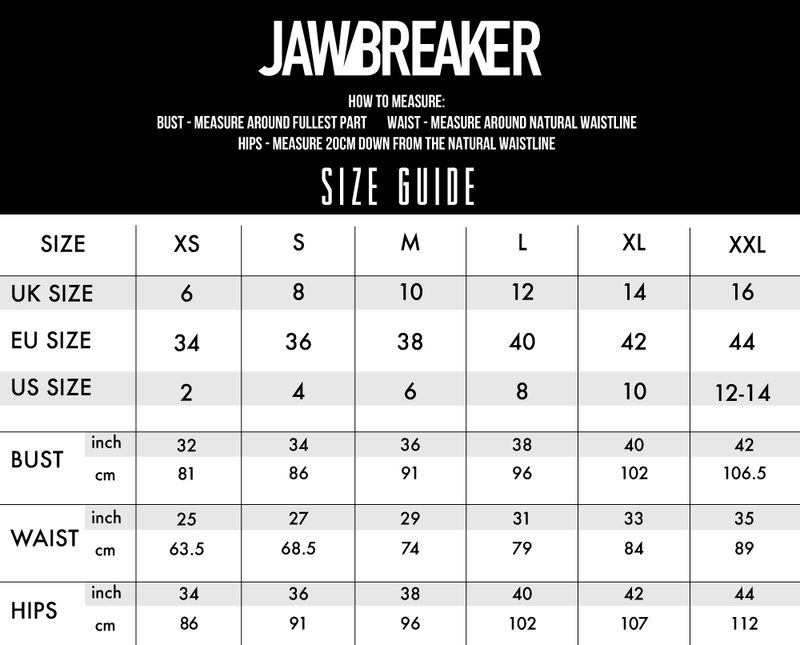 Be a diva in this indulgent feminine piece from Jawbreaker! 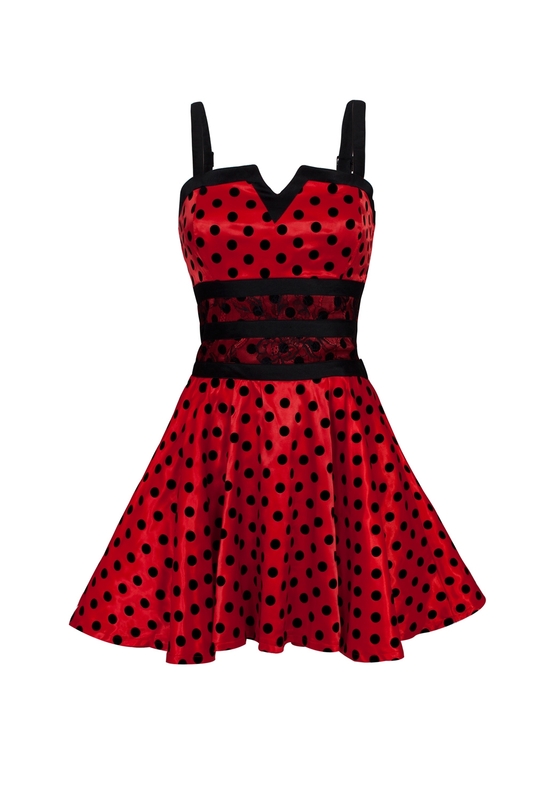 This dress features bold polka dot pattern, beautiful corset and double skirt lining. 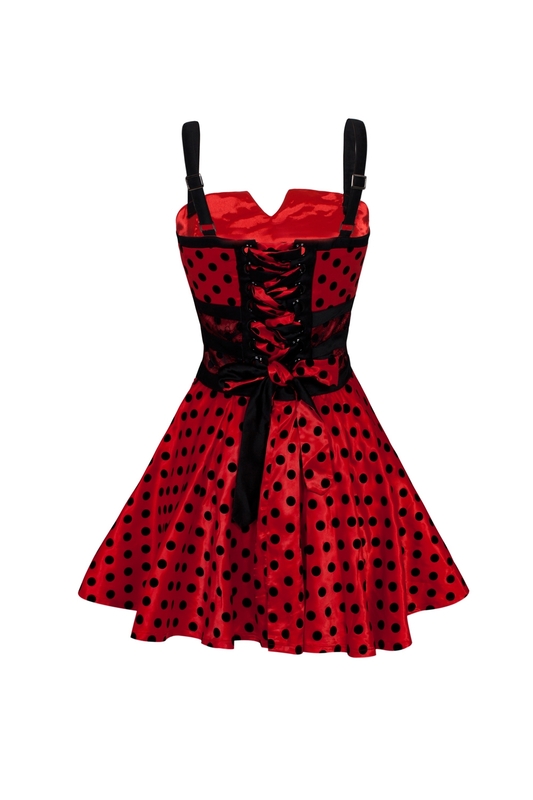 Seductive ladybird it is.